In less than a month a friend and I will depart on a 3-week trip to Iceland. While exploring the country by car and on foot we hope to capture the wonderful Icelandic sceneries with our cameras. 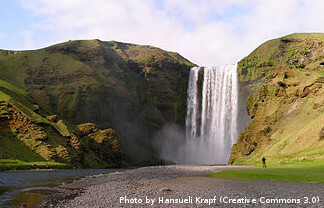 Our trip will involve a lot of hiking, including the famous Laugavegur, a multi-day hike in southern Iceland. After the Iceland trip I will be visiting the Lofoten Islands in northern Norway for another week. Thus, you can expect a lot of new pictures to be added in October/November (unfortunately taking pictures involves also some work at the computer). Possibly also a travel report will follow.